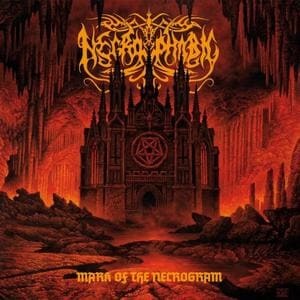 The Swedes really stepped it up this year with yet another solid release – this time it is Necrophobic’s Mark of the Necrogram. I had no doubt in my mind that this would be a brilliant album, but the extent to which it is thoroughly surprised me. The riffs at the start of the album will immediately engulf you in flames of evil. The first and title track of the album, Mark of the Necrogram, makes and intense and thrilling first impression. The pure experience and skill of the band shines through right away. This however is not where it ends. In the album you will find a little track called Tsar Bomba. Trust me, the name is aptly chosen for the brutality in which it will attack your senses. Not only are the riffs absolutely incredible, but the lyrics itself doesn’t disappoint either. Lamashtu is an interesting track on this album to me. It is a bit of a show-off track in my opinion. The technicality of the guitar players really show clearly here, and trust me – it is incredible. Even when the pace slows down a bit in songs like Sacrosanct, you will be given the opportunity to hear one of the smoothest guitar solos you will ever hear in Metal in general, and they’ve used it perfectly to add to the evil tone of the album. Every single track on this album deserves a ton of praise. Especially From the Great above to the Great Below. 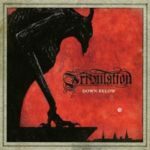 It is by far my favourite track on this album and it absolutely distinctively Necrophobic. If you had high hopes for this album, you will definitely be satisfied. If this is the direction that Extreme Metal is going in, then we will be alright. I came here for the evil and brutality that Necrophobic is known for. I am very satisfied!